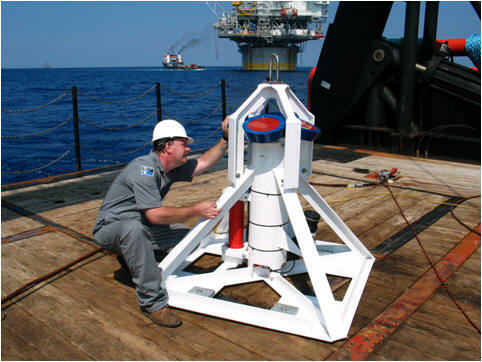 LinkQuest's underwater acoustic modems have been used extensively in offshore oil exploration and production. Fugro Chance has successfully used UWM2000 modems to monitor compass, pitch, roll, depth, temperature, and load cell information in real time in various pipeline recovery and underwater construction projects. A large number of LinkQuest's high speed modems have been used to monitor sensors in oil field seismic exploration. Fugro Chance purchases high power UWM4000 acoustic modems along with TrackLink 5000 systems to monitor heading, pitch, roll, precision depth and load cell information in real-time in deepwater offshore oil field construction projects. LinkQuest's UWM2000 acoustic modems have played a vital role in assisting the installation of offshore oil platforms in West Africa. 2H offshore of UK uses UWM4000 modems to monitor vibration and tension of the riser on oil platforms in Indonesia. Petrobras purchases UWM3000 and UWM2000 modems for offshore oil production projects. Ashtead Technology Rentals (www.ashtead-technology.com) orders 6 UWM3000 modems to use with underwater Gyros. Seatronics Group purchases a number of acoustic modems for offshore oil field applications. 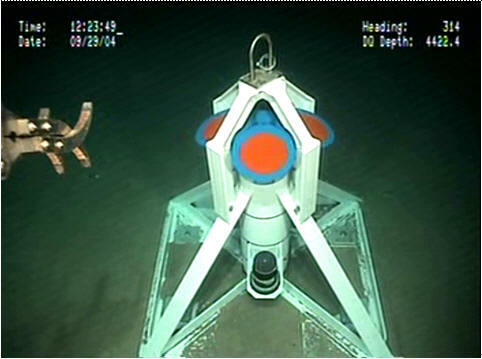 BMT Scientific Marine Services ( www.scimar.com) successfully operates a deepwater real-time current monitoring system from an offshore oil platform in Gulf of Mexico using UWM4000 modems. 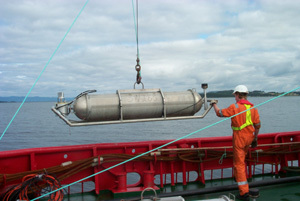 AOA Geomarine Operations (www.agoem.com), a Schlumberger Company, successfully operated UWM4000 modems from a survey ship to communicate with its active EM seismic survey towfish over 3000 meters of range. 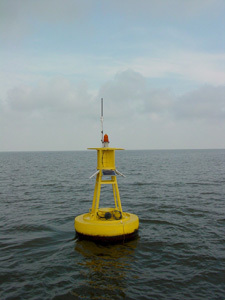 For this type of application, a LinkQuest modem is installed on a surface buoy, a surface ship or an oil rig to collect data from underwater sensors in real-time. Typical sensor data include measurements of current, CTD, tide, wave and vibration, position or corrosion of underwater structure. Obtaining sensor data from underwater cable plow or tow body also falls into this category. The tow-way modems can also be used to send control commands to the sensors. LinkQuest has supplied acoustic modems extensively for this type of applications. For current measurement alone, over 200 successful deployments have been carried out worldwide using LinkQuest's acoustic modems and Acoustic Current Profilers. Fugro GEOS have successfully deployed LinkQuest's acoustic modem for monitoring the ocean currents using ADCPs from more than a dozen of DP vessels and oil platforms in North Sea, Indian Ocean and West Africa. NOAA's National Ocean Service, Center for Operational Oceanographic Products and Services (CO-OPS) achieves Real-time Wave Monitoring Using LinkQuest Acoustic Modems. Over 550 mbytes of wave data, along with current data, have been transported over the acoustic link in less than six months. NOAA Atlantic Oceanographic and Meteorological Laboratory (AOML) installed UWM2000H acoustic modems for real-time current monitoring at Florida coast. The remote UWM2000H modem, interfacing to an acoustic current profiler deployed at 200 feet of water depth, transports the current data reliably every 20 minutes to the near-shore UWM2000H modem over a distance of 2600 feet. Army Corp of Engineers orders LinkQuest acoustic modems for wave and current monitoring. University of North Carolina at Chapel Hill orders UWM1000 modems with Data Fusion option interfacing to ADCP and CTD for coastal real-time monitoring project. 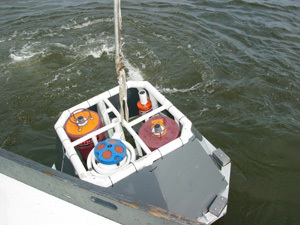 USGS monitors Lower Hudson river discharge and sediment flux using UWM2000 modems. 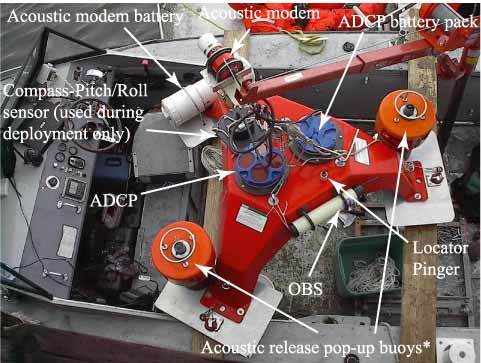 Proudman Oceanographic Laboratory (www.pol.ac.uk) purchases two more sets of UWM3000 acoustic modems after successful operating of the first set of UWM3000 modem in various marine projects for two years. MeteoMer of France monitors real-time ocean currents near Total's West African oil platform from its French office. ENEA, Italy uses the UWM1000 modems for real-time monitoring of waves using two ADCPs in coastal areas. Indonesia National Oil Company uses LinkQuest modems with InterOcean S4 current meters to monitor waves and currents near offshore oil platforms. SAES, Spain uses UWM3000 and UWM2000H modems to control and command sensors in shallow water horizontal environments. US Navy Coastal Systems Station uses UWM3000+ modems, a combination of UWM3000 and UWM3000H modems, to monitor and control undersea sensors. 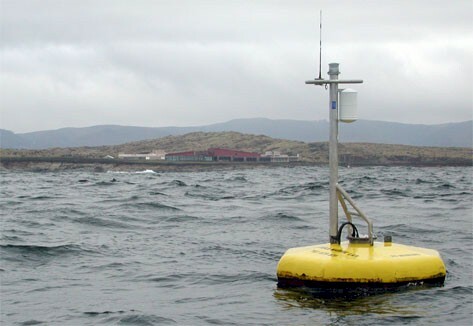 Bodega Marine Laboratory monitors ocean current using UWM1000 acoustic modems in Bodega Bay of Northern California, a particularly challenging environment for acoustic communication due to the disturbance caused by high winds on the northern coast of California. AUV/UUVs utilize sensors such as sub-bottom profiler and side-scan sonar to conduct offshore survey. Getting frequent update of sensor data is crucial to the quality of the survey and effectiveness of the AUV/UUVs for the survey work. LinkQuest’s high-speed acoustic modems will allow frequent quality update of the survey data collected by the AUV/UUV and therefore enhance the productivity of the expansive survey work. The modems can also be used to command and control an AUV/UUV from a surface vessel. LinkQuest's acoustic modems have been adopted by most of the commercial deepwater AUVs in the world. LinkQuest's UWM4010 modems are the only acoustic modems which have transported multi-gigabytes of data traffic annually in the real world. LinkQuest provides UWM4010 acoustic modems for installation on C&C Technologies' second and third Hugin AUVs. LinkQuest acoustic modems are installed on two Kongsberg Hugin 3000 AUVs operated by Fugro Survey. High power command and control acoustic modems and high speed data telemetry acoustic modems (models UWM3010 and UWM4010) are equipped on board the commercial deepwater AUV manufactured and operated by the team formed by Boeing, Fugro and Oceaneering. UWM3000 modems are purchased to obtain status updates. It is also used to command and control the advanced US Navy AUV. In total, LinkQuest has provided modems to 4 of these vehicles. LinkQuest provides UWM4010 high speed modems to the Kongsberg Hugin 3000 deepwater AUV operated by Geoconsult AS. 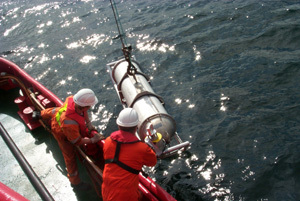 Kongsberg uses UWM3000+ modems, a combination of UWM3000 and UWM3000H modems, to monitor and control Hugin 1000 AUV. 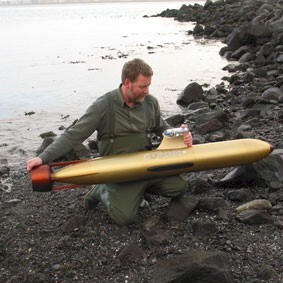 Hafmynd of Iceland (www.gavia.is) orders UWM2000H modems for its Gavia AUV. LinkQuest provides UWM2000 underwater acoustic modems to the NATO Submarine Rescue AUV. 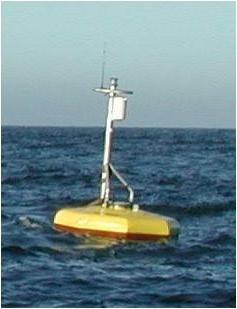 To avoid costly retrieval and redeployment of underwater sensors, a modem can be deployed with the sensors. Periodically, a ship equipped with an acoustic modem may visit the mooring site and upload the data from the underwater sensor without ever retrieving the sensors. This approach can drastically reduce the cost associated with sensor retrieval and it allows for more frequent update of sensor data. It also allows changing the configurations of the sensors remotely based on changing requirements. Walsh Environmental Inc. has used the UWM1000 modems to upload more than 300 mbytes of current data from ADCPs deployed at 3 different sites in Gulf of Mexico. US Navy NAVO purchases second set of UWM4000 acoustic modems for remote uploading of data from Acoustic Current Profilers. Specialty Devices of Huston, Texas uses UWM2000 and UWM4000 modems to upload data from undersea sensors. National University of Singapore deploys a 13-modem undersea network to transport data from underwater multi-sensor data acquisition systems. Subsea Tech of Korea uses high speed acoustic modem function integrated with the TrackLink 1500MA system to send the navigation data to the Nuytco Deepworker submersible pilot. 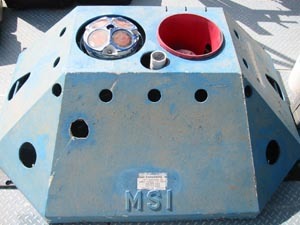 Undersea Hunter (www.underseahunter.com) purchases integrated modem function with the TrackLink 1500 USBL tracking system to communicate and position its manned submersible purchased from Seamagine Hydrospace Corporation (www.seamagine.com).